Home and business owners are eager to know as much as possible about Government's planned property tax. 2. Property Tax is calculated based on the Annual Taxable Value of all land. 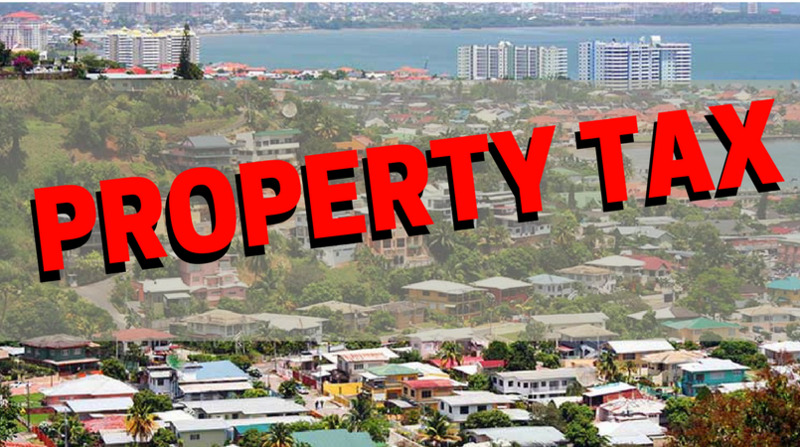 According to the Property Tax Act 2009, all land, including vacant land, in Trinidad and Tobago shall be Rated on a Rental Value basis. Annual Rental Value (ARV) is the rent at which a property will let from year to year. Annual Taxable Value (ATV) is the rent at which a property will let from year to year after a deduction of 10 percent for Voids. The Annual Rental Value of vacant land will be found by taking a percentage of the Current Market Value of the land. Property Tax is calculated by taking a percentage (rate of tax) of the Annual Taxable Value of all Land. Once authorised by the Commissioner, officers can enter and inspect your property, whether you want them to or not. "Sect. 6. (1) Every owner of land in Trinidad and Tobago shall make with the Commissioner, a return of the land in the form set out in Schedule II. (2) Where the owner of land fails to file a return, the Commissioner shall by Notice inform the owner that he is required to file a return, failing which he may be liable to conviction under this section. (3) A Notice under subsection (2) shall be sent by registered post. (b) makes a return which is defective or incomplete or which is to his knowledge false in any material particular, commits an offence and is liable on summary conviction to a fine." By law, citizens have up to 30 days to lodge a complaint after receiving their notice of valuation. (d) that the person named in the notice is not the owner of the land." (h) the right to object to such assessment made under this Act and the procedures to be utilized in making an objection, to be served on or delivered to the owner or occupier of the land personally or his agent or attorney or by being sent by post to his last known business or private address." "(2) A Notice under subsection (2) shall be sent by registered post. (b) interest at the rate of 15% per annum on the amount of tax is to be applied to the tax as increased from September 16 to the date of payment, unless the Board is satisfied that the failure to pay the taxes did not result from the default of the taxpayer." Section 36 adds if six months have elapsed since the outstanding due date, a Notice of Demand will be sent. (a) upon the goods, chattels, and effects of the owner; or (b) upon the goods, chattels and effects, being upon the lands so charged with such tax of the tenant or occupier of the lands or any part thereof charged with such tax. (2) The authority to distrain under this section may be made in the form set out in Schedule II, and such authority shall be a sufficient warrant and authority to levy by distress the amount of taxes unpaid and in arrears and penalties and interests thereon. (3) For the purpose of levying any distress under this section, any person may, if expressly authorized in writing by the Board, execute any warrant of distress, and if necessary, break open any building in the daytime for the purpose of levying such distress." Section 41 of the Property Tax Act 2009 states if no taxes are paid for a five-year period, pending a notice published in the Gazette by the Board, the President may deem your land as forfeit, unless you are able to pay all of the arrears before the stated expiration date. Section 23 of the Property Tax Act 2009 states that the Board may, upon application of the land owner, authorise the deferral of the payment of the assessed tax on the land on the grounds of the “impoverished condition of the owner and his inability to improve his financial position significantly by reason of age, impaired health or other special circumstances, that undue hardship to that owner would otherwise ensue”. The Act says if approved, a certificate showing the owner’s inability to pay tax will be issued. A release from the Ministry states that all property valuation forms along with supporting documents must be submitted by May 22, 2017.